SOLID PERFECT-SURFACE COPPER+ (PSC+) CONDUCTORS: Solid conductors prevent strand interaction, a major source of cable distortion. Extremely high-purity Perfect-Surface Copper+ minimizes distortion caused by grain boundaries that exist within any metal conductor, nearly eliminating harshness and greatly increasing clarity compared to OFHC, OCC, 8N and other coppers. CARBON-BASED NOISE-DISSIPATION and CROSS-TALK-DISSIPATION SYSTEMS (INSULATION): The negative conductors in Castle Rock are insulated with partially conductive Carbon-Loaded Polyethylene. This remarkable material damps radio-frequency garbage from being fed back into the amplifier. The sonic benefit is exactly the same reduction in “hash” and better dimensionality that comes whenever RF garbage is reduced in an audio circuit. Castle Rock uses Nitrogen-Injected Foamed-Polyethylene Insulation on its positive conductors because air absorbs next to no energy, and Polyethylene is low-loss and has a benign distortion profile. Thanks to all the air in Foamed-PE, it causes much less of the out-of-focus effect common to other materials. DOUBLE STAR-QUAD GEOMETRY: The relationship between conductors defines a cable’s most basic electrical values (capacitance and inductance). However, even when those variables are kept in a reasonable balance, the relationship between conductors can be varied in ways that greatly affect the sound. The Double Star-Quad construction of Castle Rock allows for significantly better dynamic contrast and information intelligibility than if the same conductors were run in parallel. SPREAD-SPECTRUM TECHNOLOGY (SST): Any single size or shape of conductor has a specific distortion profile. Even though radially symmetrical conductors (solid or tubular) have the fewest discontinuities, any conductor of a particular size does have a sonic signature. SST is a method for significantly reducing the awareness of these character flaws by using a precise combination of different size conductors. The different SST-determined conductor sizes used in Castle Rock allow an exceptionally clear, clean and dynamic sound. 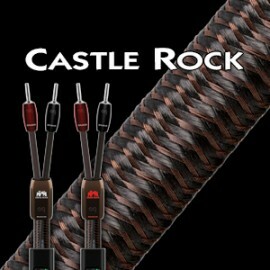 BIWIRING: Castle Rock is an exceptional Single-BiWire cable. When the halves are separated at the speaker end, the Double Star-Quad Geometry turns Castle Rock into a true Double-BiWire set thanks to the magnetic autonomy of each Quad-conductor section. On its own, one Star-Quad conductor group would be a little lightweight in performance as it is biased towards treble finesse. The other Star-Quad conductor group is biased toward the bass; it’s more forceful and lacking ultimate resolution. Together they form a completely optimized full-range design. When separated, the Double Star-Quad design allows Castle Rock to be a maximum-performance Double BiWire in a single cable. TERMINATIONS: AudioQuest offers a wide range of high-quality connectors that allow Castle Rock to be securely attached to any type of equipment. Quality is in the low-distortion sound, not necessarily in the eye-candy effect. AQ ends are either dull looking gold or silver because these metals are plated directly over the connector. There is no shiny and harsh sounding nickel layer underneath. AQ PK-spade lugs are soft because better metal is soft, and facilitates a higher quality connection. 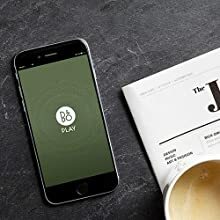 For pieces requiring a banana plug or BFA connector the AQ PK-BFA/Banana provides unprecedented performance over conventional brass versions. APPLICATION: The ABS breakouts on either end of Castle Rock are marked “Speaker End” or “Amp End.” Please use cables in the direction required. Castle RockRIP Gibraltar, long live Castle Rock! Like Gibraltar before it, Castle Rock is designed as an extremely high-performance cable which provides true Double-BiWire performance in a single..
You won’t have to wait 70 years to see this Comet. 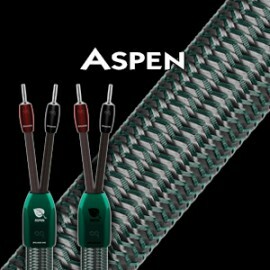 AudioQuest’s Comet Double Star-Quad speaker cable utilizes a carefully finessed amount of Solid Perfect-Surface Copper+ and Perfect-Surface Silver Conductors. The addition of Silver is startling. 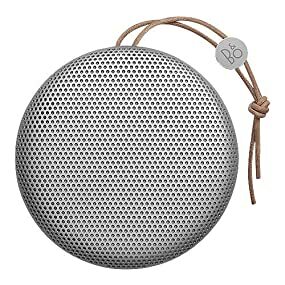 Silver has a colorless sound, allowing the exposure of more textural nuances found in the recording. SOLID PERFECT-SURFACE COPPER+/PERFECT-SURFACE SILVER (PSC+/PSS) CONDUCTORS: Comet uses a carefully finessed combination of Perfect-Surface Copper+ and extremely high-purity Perfect-Surface Silver conductors. All conductors are solid, which prevents strand interaction, a major source of distortion. Surface quality is critical because a conductor can be considered as a rail-guide for both the electric fields within a conductor, and for the magnetic fields outside the conductor. The astonishingly smooth and pure Perfect-Surface eliminates harshness and greatly increases clarity compared to OFHC, OCC, 8N and other coppers. The superior purity of PSC+ and PSS further minimizes distortion caused by grain boundaries, which exist within any metal conductor. CARBON-BASED NOISE-DISSIPATION and CROSS-TALK DISSIPATION SYSTEMS (INSULATION): The negative conductors in Comet are insulated with partially conductive Carbon-Loaded Polyethylene. This remarkable material damps radio-frequency garbage from being fed back into the amplifier. The sonic benefit is exactly the same reduction in “hash” and better dimensionality that comes whenever RF garbage is reduced in an audio circuit. 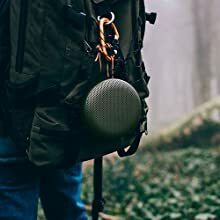 Comet uses Nitrogen-Injected Foamed-Polyethylene Insulation on its positive conductors because air absorbs next to no energy, and Polyethylene is low-loss and has a benign distortion profile. Thanks to all the air in Foamed-PE, it causes much less of the out-of-focus effect common to other materials. DOUBLE STAR-QUAD GEOMETRY: The relationship between conductors defines a cable’s most basic electrical values (capacitance and inductance). 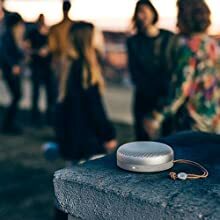 However, even when those variables are kept in a reasonable balance, the relationship between conductors can be varied in ways that greatly affect the sound. The Double Star-Quad construction of Comet allows for significantly better dynamic contrast and information intelligibility than if the same conductors were run in parallel. SPREAD-SPECTRUM GEOMETRY (SST): Any single size or shape of conductor has a specific distortion profile. Even though radially symmetrical conductors (solid or tubular) have the fewest discontinuities, any conductor of a particular size does have a sonic signature. SST is a method for significantly reducing the awareness of these character flaws by using a precise combination of different size conductors. The different SST-determined conductor sizes used in Comet allow an exceptionally clear, clean and dynamic sound. 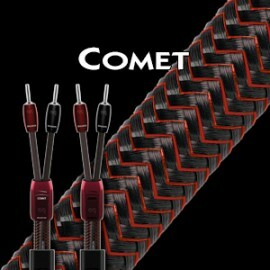 BIWIRING: Comet is an exceptional Single-BiWire cable. When the halves are separated at the speaker end, the Double Star-Quad Geometry turns Comet into a true Double-BiWire set thanks to the magnetic autonomy of each Quad-conductor section. On its own, one Star-Quad conductor group would be a little lightweight in performance as it is biased towards treble finesse. The other Star-Quad conductor group is biased toward the bass; it’s more forceful and lacking ultimate resolution. 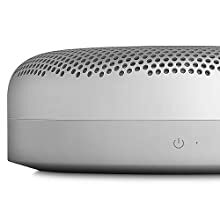 Together they form a completely optimized full-range design. When separated, the Double Star-Quad design allows Comet to be a maximum-performance Double BiWire in a single cable. 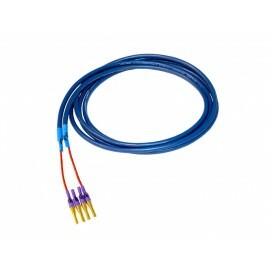 TERMINATIONS: AudioQuest offers a wide range of high-quality connectors that allow Comet to be securely attached to any type of equipment. Quality is in the low-distortion sound, not necessarily in the eye-candy effect. AQ ends are either dull looking gold or silver because these metals are plated directly over the connector. There is no shiny and harsh sounding nickel layer underneath. AQ PK-spade lugs are soft because better metal is soft, and facilitates a higher quality connection. For pieces requiring a banana plug or BFA connector the AQ PK-BFA/Banana provides unprecedented performance over conventional brass versions. Application: The ABS breakouts on either end of Comet are marked “Speaker End” or “Amp End.” Please use cables in the direction required. CometYou won’t have to wait 70 years to see this Comet. AudioQuest’s Comet Double Star-Quad speaker cable utilizes a carefully finessed amount of Solid Perfect-Surface Copper+ and Perfect-Surface.. SOLID 100% PERFECT-SURFACE SILVER (PSS) CONDUCTORS: Solid conductors prevent strand interaction, a major source of cable distortion. Extremely high-purity Perfect-Surface Silver minimizes distortion caused by grain boundaries that exist within any metal conductor, eliminating harshness and greatly increasing clarity compared to all other conducting materials. CARBON-BASED NOISE-DISSIPATION (INSULATION): The negative conductors in K2 are insulated with partially conductive Carbon-Loaded Polyethylene. This remarkable material damps radio-frequency garbage from being fed back into the amplifier. The sonic benefit is exactly the same reduction in “hash” and better dimensionality that comes whenever RF garbage is reduced in an audio circuit. 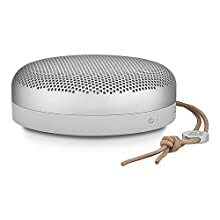 K2 uses Foamed-Polyethylene Insulation on its positive conductors because air absorbs next to no energy, and Polyethylene is low-loss and has a benign distortion profile. Thanks to all the air in Foamed-PE, it causes much less of the out-of-focus effect common to other materials. DOUBLE STAR-QUAD GEOMETRY: The relationship between conductors defines a cable’s most basic electrical values (capacitance and inductance). However, even when those variables are kept in a reasonable balance, the relationship between conductors can be varied in ways that greatly affect the sound. The Double Star-Quad construction of K2 allows for significantly better dynamic contrast and information intelligibility than if the same conductors were run in parallel. SPREAD-SPECTRUM TECHNOLOGY (SST): Any single size or shape of conductor has a specific distortion profile. Even though radially symmetrical conductors (solid or tubular) have the fewest discontinuities, any conductor of a particular size does have a sonic signature. SST is a method for significantly reducing the awareness of these character flaws by using a precise combination of different size conductors. 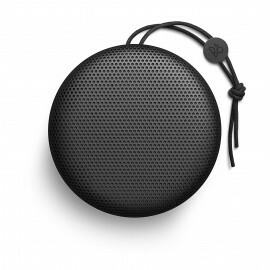 The different SST-determined conductor sizes used in K2 allow an exceptionally clear, clean and dynamic sound. 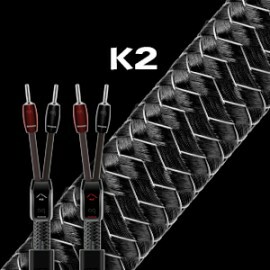 BIWIRING: K2 is an exceptional Single-BiWire cable. When the halves are separated at the speaker end, the Double Star-Quad Geometry turns K2 into a true Double-BiWire set thanks to the magnetic autonomy of each Quad-conductor section. On its own, one Star-Quad conductor group would be a little lightweight in performance as it is biased towards treble finesse. The other Star-Quad conductor group is biased toward the bass; it’s more forceful and lacking ultimate resolution. Together they form a completely optimized full-range design. When separated, the Double Star-Quad design allows K2 to be a maximum-performance Double BiWire in a single cable. TERMINATIONS: AudioQuest offers a wide range of high-quality connectors that allow K2 to be securely attached to any type of equipment. Quality is in the low-distortion sound, not necessarily in the eye-candy effect. AQ ends are either dull looking gold or silver because these metals are plated directly over the connector. There is no shiny and harsh sounding nickel layer underneath. AQ PK-spade lugs are soft because better metal is soft, and facilitates a higher quality connection. 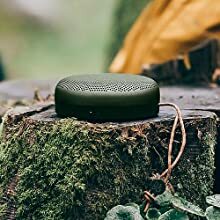 For pieces requiring a banana plug or BFA connector the AQ PK-BFA/Banana provides unprecedented performance over conventional brass versions. APPLICATION: The ABS breakouts on either end of K2 are marked “Speaker End” or “Amp End.” Please use cables in the direction required. K2About DBSAt the peak of AudioQuest’s Flat Rock series sits K2. Just like the mountaintop, from this vantage point there are very few options to look up toward. K2 combines Solid Perfect-Surface..
Meteor expands the performance of AudioQuest’s Double Star-Quad design by increasing the number of Solid Perfect-Surface Silver Conductors (PSS). 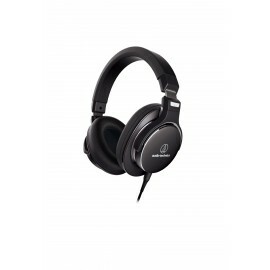 Silver, when used properly, has colorless qualities, giving you a closer look into the music. SOLID PERFECT-SURFACE COPPER+/SOLID PERFECT-SURFACE SILVER (PSC+/PSS) CONDUCTORS: Meteor uses a carefully finessed blend of Perfect-Surface Copper+ and extremely high-purity Perfect-Surface Silver conductors. All conductors are solid, which prevents strand interaction, a major source of distortion. Surface quality is critical because a conductor can be considered as a rail-guide for both the electric fields within a conductor, and for the magnetic fields outside the conductor. The astonishingly smooth and pure Perfect-Surface eliminates harshness and greatly increases clarity compared to OFHC, OCC, 8N and other coppers. The superior purity of PSC+ and PSS further minimizes distortion caused by grain boundaries, which exist within any metal conductor. CARBON-BASED NOISE-DISSIPATION and CROSS-TALK-DISSIPATION SYSTEMS (INSULATION): The negative conductors in Meteor are insulated with partially conductive Carbon-Loaded Polyethylene. This remarkable material damps radio-frequency garbage from being fed back into the amplifier. The sonic benefit is exactly the same reduction in “hash” and better dimensionality that comes whenever RF garbage is reduced in an audio circuit. 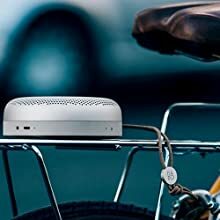 Meteor uses Nitrogen-Injected Foamed-Polyethylene Insulation on its positive conductors because air absorbs next to no energy, and Polyethylene is low-loss and has a benign distortion profile. Thanks to all the air in Foamed-PE, it causes much less of the out-of-focus effect common to other materials. DOUBLE STAR-QUAD GEOMETRY: The relationship between conductors defines a cable’s most basic electrical values (capacitance and inductance). However, even when those variables are kept in a reasonable balance, the relationship between conductors can be varied in ways that greatly affect the sound. The Double Star-Quad construction of Meteor allows for significantly better dynamic contrast and information intelligibility than if the same conductors were run in parallel. SPREAD-SPECTRUM GEOMETRY (SST): Any single size or shape of conductor has a specific distortion profile. Even though radially symmetrical conductors (solid or tubular) have the fewest discontinuities, any conductor of a particular size does have a sonic signature. SST is a method for significantly reducing the awareness of these character flaws by using a precise combination of different size conductors. The different SST-determined conductor sizes used in Meteor allow an exceptionally clear, clean and dynamic sound. 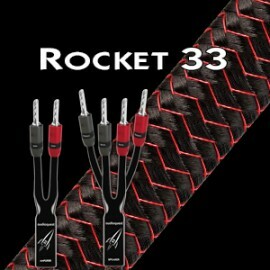 BIWIRING: Meteor is an exceptional Single-BiWire cable. When the halves are separated at the speaker end, the Double Star-Quad Geometry turns Meteor into a true Double-BiWire set thanks to the magnetic autonomy of each Quad-conductor section. On its own, one Star-Quad conductor group would be a little lightweight in performance as it is biased towards treble finesse. The other Star-Quad conductor group is biased toward the bass; it’s more forceful and lacking ultimate resolution. Together they form a completely optimized full-range design. 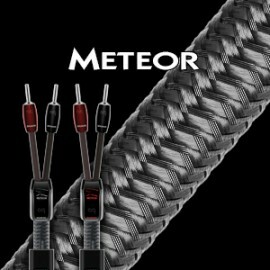 When separated, the Double Star-Quad design allows Meteor to be a maximum-performance Double BiWire in a single cable. 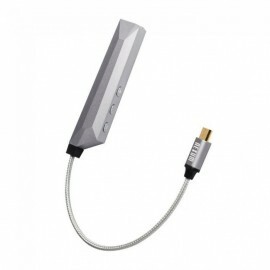 TERMINATIONS: AudioQuest offers a wide range of high-quality connectors that allow Meteor to be securely attached to any type of equipment. Quality is in the low-distortion sound, not necessarily in the eye-candy effect. AQ ends are either dull looking gold or silver because these metals are plated directly over the connector. There is no shiny and harsh sounding nickel layer underneath. AQ PK-spade lugs are soft because better metal is soft, and facilitates a higher quality connection. For pieces requiring a banana plug or BFA connector the AQ PK-BFA/Banana provides unprecedented performance over conventional brass versions. APPLICATION: The ABS breakouts on either end of Meteor are marked “Speaker End” or “Amp End.” Please use cables in the direction required. MeteorAbout DBSMeteor expands the performance of AudioQuest’s Double Star-Quad design by increasing the number of Solid Perfect-Surface Silver Conductors (PSS). Silver, when used properly, has co.. Rocket 33This Double Star-Quad Geometry “Rocket” cable does not look normal on the outside, and it is not at all normal on the inside. 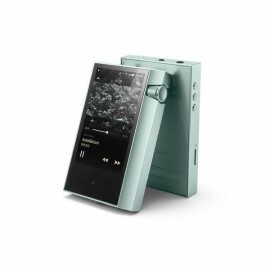 A sophisticated combination of extraordinary materials and e.. 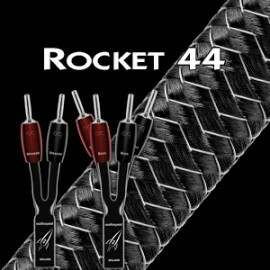 Rocket 44Rocket 44 incorporates Perfect-Surface Copper+ into its blend of conductors. 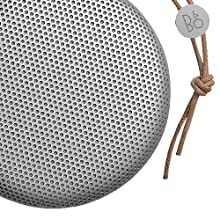 PSC+ has fewer grain boundaries, which reduces harshness in the sound. This carefully finessed combination of.. 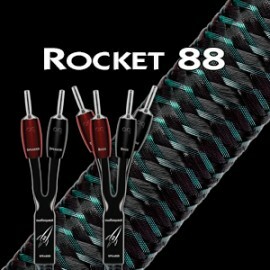 Rocket 88About DBSRocket 88 incorporates AudioQuest’s patented Dielectric-Bias System (DBS) and replaces Long-Grain Copper with solid Perfect-Surface Copper+. DBS offers a lower noise-floor, so y..